I’ve posted before about the insane wonderfulness of Prefab Sprout. In many ways its a shame that the only song of theirs that made any real impression on the record-buying public was this throwaway slice of meta-pop. But that’s only a shame because of the ridiculously high standards that they set elsewhere. 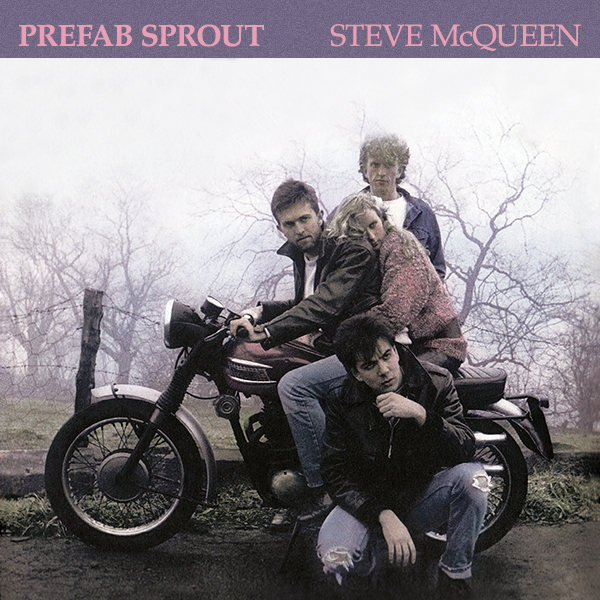 Hailing from the County Durham, Prefab Sprout emerged in the early 80s with a sound that blended classic pop, jazz and scratchy post-punk influences (debut album Swoon in particular) with literate lyrical aspirations. Not alone in those kind of influences and sound (the likes of Aztec Camera, The Blue Nile, Lloyd Cole and Orange Juice would at times be bracketed together with the Sprouts in what has retrospectively – and somewhat clumsily – come to be known as sophisti-pop), main man Paddy McAloon ploughed a steadfast furrow with a vision all his own that introduced a sophistication to songwriting and musicianship that harked back to the likes of Burt Bacharach and Brian Wilson in its ambition. 1988’s From Langley Park To Memphis was their commercial high-water mark, a record that added more gloss to the sound that they had refined (with produced Thomas Dolby) on 1985’s Steve McQueen. But this wasn’t a surface sheen to hide a lack of content and inspiration, rather it was a polish that complimented a collection of perfect (in a left-field kind of way) pop songs, songs whose seeming simplicity belied (much like Abba, another McAloon inspiration, whose Agnetha Faltskog was the inspiration behind The Ice Maiden) an underlying complexity, richness and ingenuity. The King Of Rock And Roll was the second single from the album (following the Springsteen-baiting Cars and Girls), and gave the band their only top 10 single. Described later by McAloon as “novelty” effort, it is somewhat ironic – in a way that McAloon would undoubtedly appreciate – that a song which focusses on a washed-up pop star who is now only remembered for his one-hit novelty song should acquire the same status in the band’s back catalogue. Yet it’s apparent inanity lies its intelligence. For beneath the – undoubtedly deliberate – senseless chorus and relentlessly jaunty musical backing (watch the video for jumping frogs and dancing hot dogs!) is a song laced with poignancy and melancholy – “All the pretty birds have flown, now I’m dancing on my own”, anybody? So here’s the songsheet for this deceptively trite piece of classic 80s pop! I don’t think there’s too much to say about it – it’s relatively straightforward, primarily as it’s transposed down half a tone (so capo 1 if you want to play along with the original). Timing should be no big problem, and whilst I’ve cut a couple of the “Hot dog…” lines from the end to fit the page, I don’t think it loses anything. Enjoy! Categories: Pop, Rock, ukulele, ukulele chords | Tags: 1980s, 1988, Pop, Prefab Sprout, Rock, Sophisti-Pop, ukulele | Permalink.